One would expect a giant like Facebook would be able to afford .. well.. at least something better than what they have. Let alone all the recent changes that are a complete nightmare from the point of view of usability, their advertising campaign setup is as horrifying as it can get. I know many people who setup a PPC campaign on Facebook & weren't able to find the campaign to make any changes to it. How lame is that? Less gimmicks, easy to navigate, easy to read, easy to understand. Depression D is something a bit odd in between other psycho websites & blogs, it has humanly touch to it, unlike other websites that just have boring & scientific content. That said, the best part of it is the simplistic design which has not much if anything, yet has a great appealing look & easy to understand & navigate. Google has been one of the better search engines that delivered better results for the user. However, lately in its journey to fight those trying to gain the system Google went overboard trying new changes too often & too soon. As a result you see a bunch of low quality sites coming up in searches simply because they have matching domain name with or without dashes and billion dollar companies. Looks like the efforts to fight spam ended up in killing all the small website owners. Well thought out design, you can tell the people behind the scene are professionals. Not only it's a great designed website, it is also clearly well optimized for users to be able to find what they need without a hassle. Not sure how good they are at teaching classes, but clearly they know what they are doing on the web end. Prima Tea made the rookie mistake to redesign the website with a lot of fancy images & other fancy stuff that is hard to load. As a result it takes forever to load the website & at times pages won't load at all. For an eCommerce website that's an epic fail in my book. Fancy look doesn't always mean better for the user. Don't be surprised if your customers get pissed off because of the super slow loading times & start shopping elsewhere. Dr Alexander Simring provides information opinion style on digestive health. 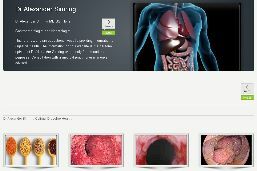 What struck me was the design chosen for a medical website. It could be that I’m too old fashioned or not open enough for innovative style blogs for doctors, but it seems to me that more traditional pallet color is what you should pick when you are creating a medical website. The last thing I want when I have medical problems is having my mood sunk further by dark shady colors. Also having a logo instead of an empty placeholder would be great, thank you very much! Do you remember those annoying promotions when a company advertises how you should buy from them because their product is cheaper than their competitors’? I generally find them lacking taste. However, Lekker Energie found a very smart way to use the same technique in a good manner. Lekker Energie offers an online calculator on their website (www.Lekker-Energie.de) which shows how much you can save by using them, now that’s pretty cool way to increase your conversion rate. I generally get excited when I see some videos on a certain website, so I was when I saw them available on Richard Morrison’s Vancouver Real Estate website. Videos would seem to me as a great way for a person in real estate to pitch his service and I was eager to play them & learn a few things from someone who knows how to convert a lead in real estate market. All that excitement & all I found was disappointing 40 sec clips, 2nd half of which was some annoying text over a blank background. With that content you might be better off removing the videos altogether. Since open source platforms started dominating the World Wide Web a new trend was born of websites with unorganized text & forms all over the place with no common understanding how to present a website to the visitor. Homes And Businesses Vancouver Mortgage Broker’s website is a prime example of that. As a visitor once you open a website you want something distinguishable that clearly separates what the website is about from the rest of the content all over the page; this is what old style webmasters did so well back in the day. However, Vancouver mortgage site’s webmaster decided to splash 2 big “Apply Now” buttons & a form on the homepage where the person just entering the website doesn’t even understand clearly what he is applying for in the first place. To spice up things they made their tags larger than everything you can see on the first page, I didn’t realize tags were the most important content on a webpage. I’m a webmaster with over a decade of experience and it took me a moment to realize that it was a mortgage broker’s website, I can only imagine how long it would take for an average person, probably longer than it takes them to leave the website. I think we’ve all seen “Investing for Dummies” type of books with yellow black covers. Well, I’m proud to announce you that now there is an entire corner on the World Wide Web that is accommodating the similar type of websites, only like with anything else in the recent couple of decades the numbers go up & the quality degrades. Wise Gold Investing is just one example of millions of similar “informative” websites with couple of dozens of articles with very questionable credibility of the author. In fact in this particular case the author is not disclosed at all, the contact page displays a standard email form which is very suspicious to say the least for a gold investment information site. I think they should add a disclaimer, like “If you make a stupid investment based on anything you read here we don’t bear any responsibility for it” or something similar. On the plus side their homepage layout & styling is just like ours. Were they trying to copy IJSM or what? Chemtotal offers chemical & polymer additives to increase output & usability in the existing products. They manufacture Guar Gum Powder, Tamarind Gum, Xanthan gum (commonly used as a drilling additive), crosslinkers for gel systems, Glycerine, Bentonite, Citric Acid Monohydrate, Manganese oxide, Mica etc. What drew my attention was that from a manufacturer of this caliber you generally expect a more uptight corporate website, yet I was surprised by a tag cloud on the homepage & content on the inner pages that would benefit from proofreading. For instance if you check out their Xanthan Gum product page (find the link below) you’ll notice that someone just copied & pasted the content without formatting or proofreading it, which frankly makes it look quite unprofessional. Will their website negatively affect their business? My opinion: I doubt it. That said if you make serious products like chemical and polymer additives & you want web presence, just do it right. And Your Tracking Number Is?? As technology evolves we give away our privacy one bit at a time. Employers spy on us checking our Facebook accounts & other social media profiles, parents spy on their kids installing “inappropriate” software on their computers, our banks know more about our financial transactions & whereabouts than we can recall ourselves and our governments have tracked & stored more of your actions than our brains can memorize. We shouldn’t assume to have any privacy any longer, especially those of us who have cell phones. 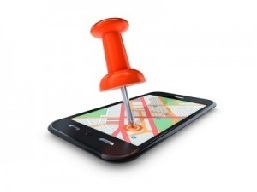 Say hello to free mobile phone tracking apps! Now you can track your cheating, gambling husband by installing an app on his cell. Whoops! Kids, you want to skip classes with your buddies today? You better make sure you mom doesn’t have your phone hacked with some creepy app. kostenloshandyorten.de suggests using these apps to track your kids whereabouts & track your cheating husband, apparently those are some of the “useful” uses of mobile phone tracking. Boo-Hoo! Don't be shy; submit your website & it might just be awkward enough to be on our lists. Just beware, we don't hold back!